Sometimes, life throws us a wonderful, endearing surpise - almost like a reward for overcoming unimaginable obstacles. I found my surprise standing at my front door, all 6'2" of him, dressed in light denim coveralls. His kind blue eyes connected with mine and then he smiled and said "Hello, Audrey - I'm Dave Bruebeck and I understand you have a Steinway Piano. . . an L Model." There were only two "L's" on the entire island. Dave chose mine to complete his "Jazz Mass" composition to be performed at Carnegie Hall in New York City. Glory Be and Halleluja! I could barely believe my good fortune. My mind flashed back to 1976 and the day I walked into a Beverly Hills, California Steinway Piano Showroom. It was three stories high and packed with the most beautiful grand pianos I had ever seen and I was in piano heaven. 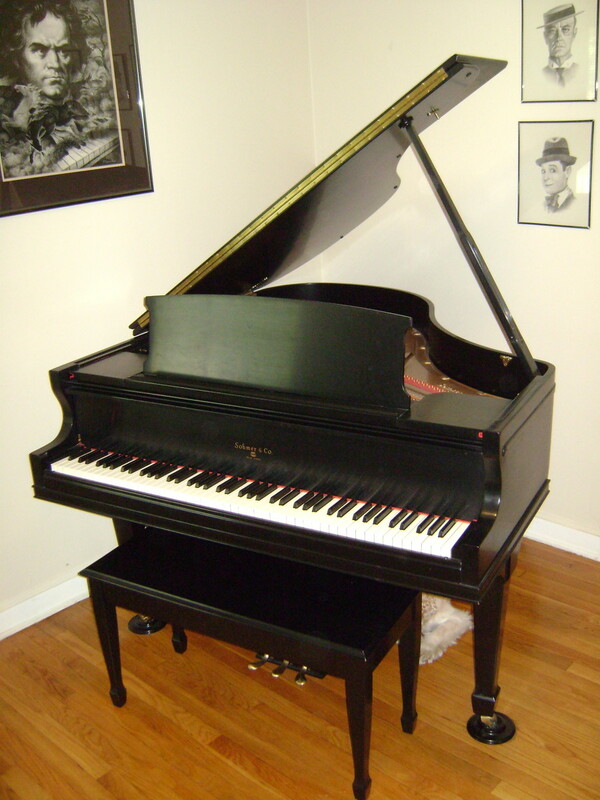 After hours of trying out one Steinway, then another, I purchased my very own magnificent parlor-grand piano. "You've come a along way baby", I proudly said to myself. I started my piano lessons by learning how to play on the kitchen table and 40 years later - I am purchasing my very own steinway grand piano. The Steinway tone is radically better than any other piano, especially those built before 1970. Every Steinway has a slightly different sound quality, and buying new means having the luxury of trying out several pianos of the same size and price. The L is a smaller size grand piano and the favorite of most pianists because of it's magnificent tone quality. 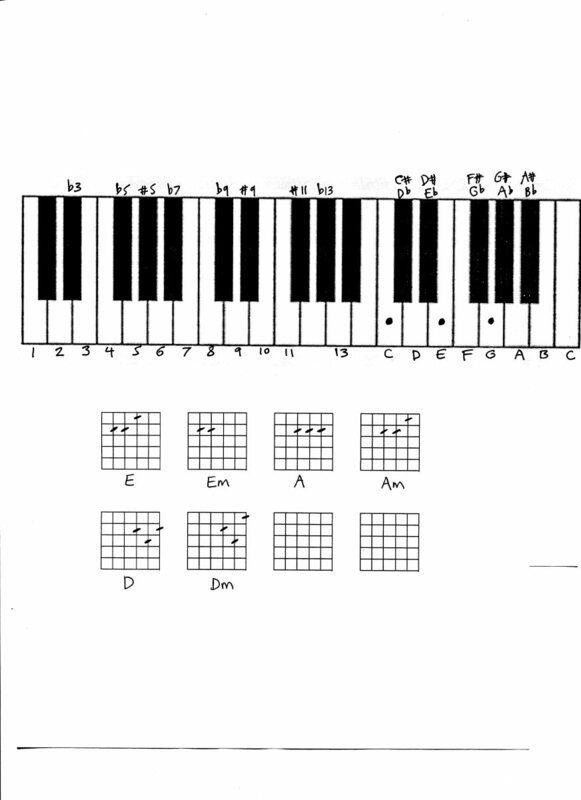 And this leads us to Dave Brubeck and why he preferred an L Steinway which eventually led to yours truly. 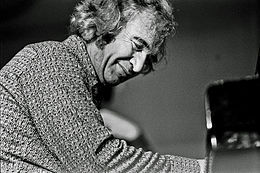 Dave Brubeck, an American jazz performer and composer, is considered to be one of the foremost exponents of cool jazz. Click on his link to learn more. Now, having a Legend like Dave Brubeck in your home, playing your piano, is a dream come true. I sat, spell-bound as I watched him go through a set of his own designed warm-ups on the piano. Never, ever, had I witnessed anything like it. Thank goodness I had the presence of mind to record some of his remarkable warm-ups on an old recorder I had. Thanks to my son Randy, who was able to somehow download them on to ITunes, you can listen to these warm-ups which were recorded in 1981 in my home on Kauai, Hawaii. After Mr. Brubeck concluded his warm-ups he invited me to join him at the piano for some musical improvisation. I felt like I was going to school for the first time. I did my best, floundering with the few jazz licks I knew. Needless to say, this was a humbling experience but also a grateful one. I made sure that the "Maestro of Jazz" had a plate of fresh papaya, mango, kiwi, banana and pineapple each morning for breakfast. I even picked these fruits myself. I begin to feel like Mr. Brubeck needed more privacy, so I took off for a few days to beautiful Kokee. The endless hiking trails surrounded by magnificent flowers and ferns were magical. The trails ended at various lookout spots, of the "Grand Canyon of the Pacific"... magnificent Waimea Canyon. 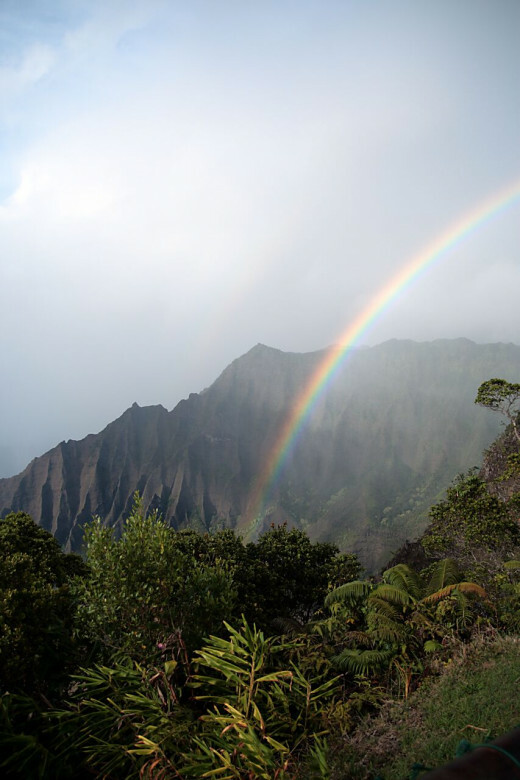 Kauai is truly a stunning paradise. When I returned home, Dave Brubeck had finished his composition and bid me aloha. I have 2 separate notes of thanks hand-written from the "boy from Concord, California". He also mailed and autographed his new record album with the Jazz Mass composition on it. But it doesn't end there. Dave Brubecks Classic Jazz Hit - "Take Five"
"I walk with the energy of music every day. I don't have to turn it on to hear it play." - Taj Mahal. l met Taj Mahal when he, his gorgeous wife, and adorable, curly headed, baby boy moved in next door to me. Kauai attracts many famous people. Celebrities know that they will be left in peace and can enjoy privacy. Taj was my neighbor for almost 6 months before I knew who he was. One day he was watching me cut the grass . I was almost finished when I heard a loud voice yelling at me, "Hey, can I borrow your lawn-mower"? "You sure can", I replied. At that, he walked across the vacant area between our houses to where I was standing, grabbed my lawn mower and said "thanks - I'm Taj Mahal". I never saw my lawn mower again. I pestered him again and again. For all I know he still has my lawn mower. That's okay and that is not the reason I am still mad at him. 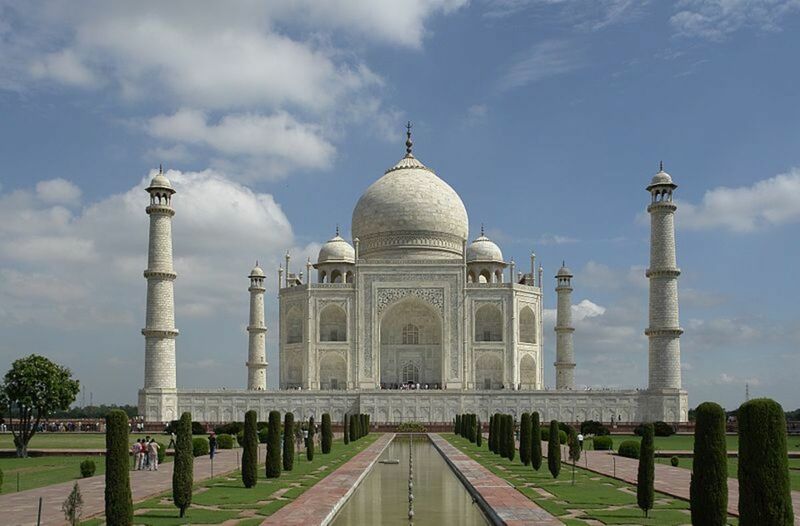 The reason I am still, to this day, upset with Taj Mahal, goes back to my visit from Dave Bruebeck. Taj spotted him a few times going in and out of my house. One day Taj approached me and asked if I would introduce him to Dave Brubeck. Taj absolutely idolized the man and would be forever grateful to me for an introduction. I refused to introduce them. I felt that a "trust" between Dave and I would be broken and besides I knew that Dave was here for only one purpose - to finish his Jazz Mass. And that was that. A few weeks later, I received a gift from Mr. Brubeck. A "first edition" of his brand new record album, autographed and with a thank you. The title of the album "to Hope", a celebration, is available on CD. I had barely held the album in my hands, when I caught a glimpse of Taj as he waved to me. At that point, remembering how I had denied him an introduction to Dave Brubeck, I decided to share my good fortune with him and allowed him to borrow the album. He promised to return it later that day. I never saw my precious gift again. I attempted to retrieve it - but it was gone forever. When I moved to California Bay Area, from Hawaii, I learned that he was living in Berkely and I immediately contacted him by phone. Yes, he remembered the album but no, he didn't have a clue as to what happened to it. But the good news is - Dave Brubeck heard about this story and immediatley sent me a beautiful CD. On the front cover, near the title, he wrote "Thanks Audrey for letting me work at your piano. Dave." 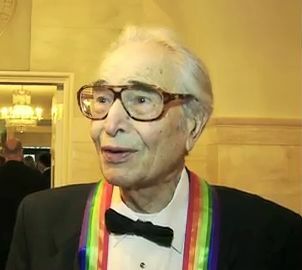 Thanks for sharing your appreciation of Dave Brubeck. I didn't realize you were such a fan. I am so honored to have had the rare opportunity to meet this great legend. You and I share a love and admiration for this magnificent musician and man. He is so humble and so very sweet. I really like your hub about Dave Brubeck and thank you for writing it. Wooooow.. fantastic Audrey, you sure are real lucky. Its such a great hub. It's nice to read about a close encounter great personalities. Wow! How exciting. I love Dave Brubeck and saw him play numerous times in Seattle in my younger days. Wonderful article Audrey! Brilliant hub. Oh How l felt all gooey when you wrote about Steinway pianos. 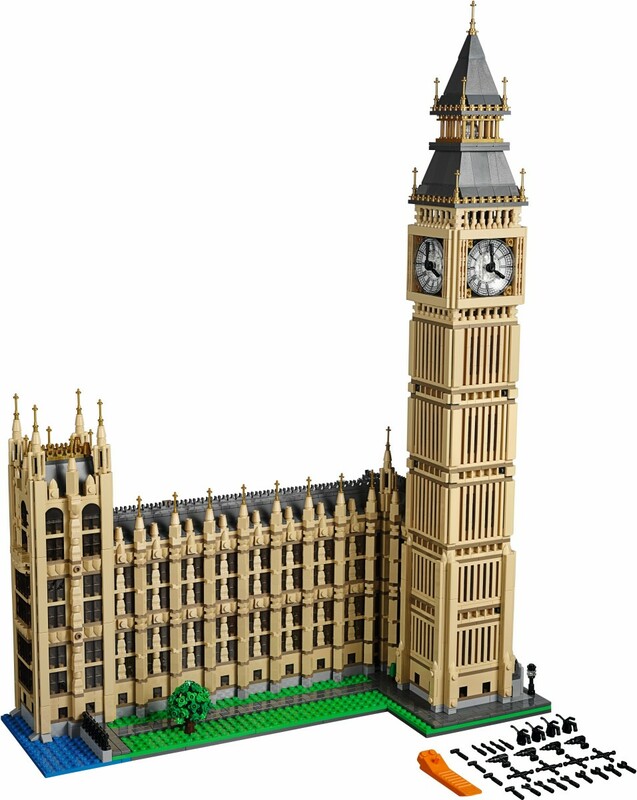 l can still remember as a little girl , my parents saying there´s a surprise for you in the front room of the house. Wow! There stood my first beautiful upright Steinway. H P - It is always a joy to see you. And yes - memories are such gifts, always ready to be "opened" and shared.Bless you, my friend. Awesome hub. I used to go see Dave Brubeck whenever he was playing in Seattle. Wonderful story and I so envy you. Twilight Lawns - Peasant indeed! He sure doesn't deserve that Steinway. Boy, oh boy - if I ever got my little hands on him. . . So glad you liked my story and that you are a Brubeck fan. Loved reading your comments. Thank you, my friend. tony, my friend! Thank you for sharing the story about Darious and your brother Cris. I enjoyed it so much. Like it has been said "small world". I shared this story with Randy, my son (jazz musician, up-right bass) and he loved hearing it. Just a thought - but I wonder if your brother Chris and my son Todd have run across each other. If so, I'm sure they are having a good laugh at our expense, which would be just wonderful! Take care, my friend, and peace and light be with you. Amy - I am always caught by surprise when a distant memory of an experience seems to come out of nowhere, begging to be shared with others. I know you understand what I mean. There is always a message hidden within the memory, no matter how slight, that we fail to see - until we put it all into words. How blessed we are to be writers. How blessed I am, to have you. 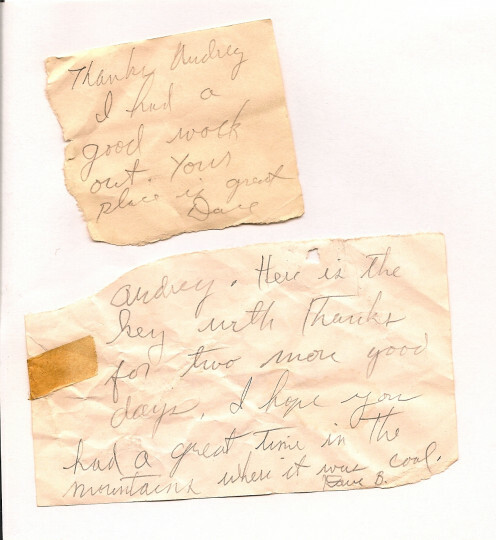 Audrey-this is a wonderful story you shared. Wow! What a story! You are such a kind hearted woman...Taj didn't deserve a neighbor like you! Hope you are feeling healthy and energized. Kathy - I feel so fortunate to have had this amazing experience. To even meet the Great Dave Bruebeck, let alone become a friend is something I never thought would happen in my life-time. 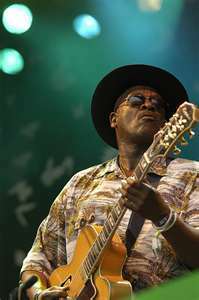 And Taj Mahal is a talent to be reckoned with. How wonderful that you recognize the worth of these older musicians. Thank you, dear friend. 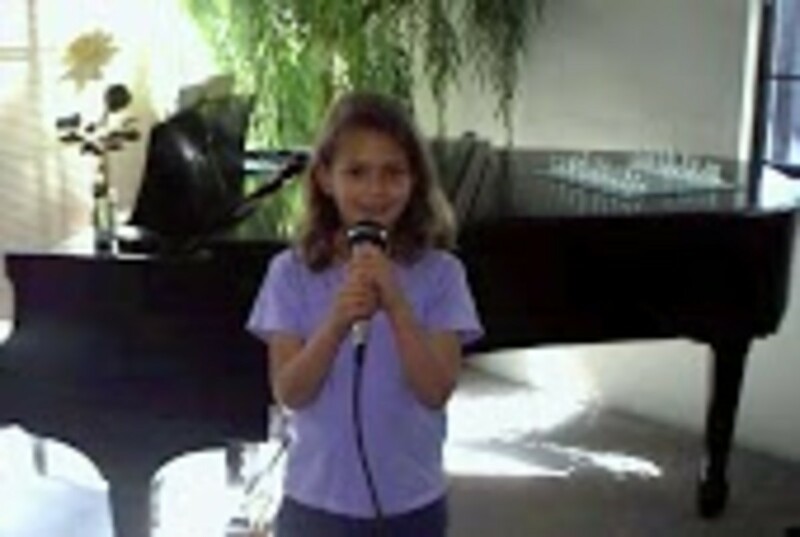 nichole - You learned how to play the piano? I think that is just great. You will enjoy a life-time of music, bringing full-fillment to you as no other means can do. Thank you for dropping by and I hope to see you again soon. epigramman ~ How do I begin to describe how your message to me fills my heart? You give of yourself, lovingly, freely and completely truthfully. I am a better person for having met you. You are the "love" teacher to all who travel the epigramman path. Your radiant light shines and sparkles like a zillion stars in the black night sky. I am so honored to be among your followers. I am so blessed beyond measure to earn the title of "friend". You have paid your "mum" a great tribute ~ she was your best friend. What a lady she must have been. She certainly "molded" a great son ~ a great man ~ a magnificent work of art! I was hoping, when I wrote this hub, that you were a fan of Brubeck as well as Taj Mahal. But YOU are my favorite musician. Every poem you write is an exquisite melody ~ not in 4/4 or 6/8 time, but in eternal epigramman time. ...thinking of you my dear Audrey on this Mother's Day with love and respect and admiration for your many god given talents - my Mum was my best friend! 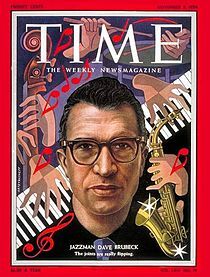 Simply love Dave Brubeck's music especially when he played with Paul Desmond - love Taj Mahal too - great stories here - your hubs are phenomenal - because it's your glowing personality which always comes out in them. hello - Thank you for your sympathy, my friend. I thought it was very kind of Dave Brubeck to send me a CD after all these years. He is such a sweet soul. A great hub and thanks for sharing.You always write so beautifully and I am honoured to be one of your fans. I know you feel when somebody takes something your heart is set on. About ten years ago I attended a wonderful concert with Dave Brubeck, your hub brought back some memories, thanks! Oh, I hadn't heard "Take Five" in a long time. It made my heart sing. What a wonderful story. Thanks for sharing it. I learned how to play. Will - It's funny, I almost didn't write this. I'm glad I did now. Oh...I just read your story about the Pilot that crashed his plane. I loved it so much! Thanks, friend. Great hub Audrey and Dave Brubeck no less, one of my all time favorites (Taj Mahal too, but it has been awhile :-0) All my albums are still sitting on my Dad's bookshelf! What an extraordinary meeting and experience, they say things happen for a reason? Thank you for sharing! How very enlightening my friend. My older son has always loved Dave Brubeck's music...and to own a Steinway... is such a top rated piano. As usual a very rich and rewarding read. Thanks for sharing Vocalcoach. Dave Brubeck's music is awesome and I very much enjoyed your hub about your friendship. Having a Steinway is certainly a treasure. Thanks for such a wonderful hub. Dear vocalcoach, it sounds like you live an extraordinary, very special life. I loved this piece of a magical place, time and experience. And, even in one of the most peaceful, gorgeous, magical places on earth, there is intrusion, carelessness and thoughtlessness. I am so glad you did not let your neighbor intrude on the peace you protected for your esteemed guest, Dave Brubeck. Thank you for sharing this special, treasured memory of yours, vocalcoach. This is wonderful Audrey. Thanks for shnaring these memories of great musos. I can also brag about a Brubeck - this time, Dave's son Darius, who lived in South Africa for a number of years during which time I saw him often. Another connection is that Darius's wife Kathy and my sister-in-law Maxine were at university together and my late brother Chris was also a jazz pianist and composer. Darius taught at the Centre for Popular Music and Jazz at the then University of Natal. He was due to go on sabbatical and the idea of a swap between him and my brother came up - Darius and family would move to live in the Moulin in France where Chris and family lived and Chris would take Darius's place at the Centre for the period of the sabbatical. This didn't come off because Chris soon thereafter was diagnosed with the cancer from which he would die a few months later. Wonderful Hub - thanks again. How incredible. I love Dave Brubeck's music. It was a part of my passage into adulthood. Audrey, what a brilliant hub. Dave Brubeck, the MAESTRO of my generation. You lucky thing, but looking through the hub, you are a person of integrity also. I lived with a guy once who had a 1011 Steinway. Of course it had a catalogue number! He never had it tuned. B flat above Middle c didn't work at all; I even offered to have it done for him, but he refused. He would have friends around who left cigarettes burning on the edge, and there were several long cigarette burns. Now he has it in a small conservatory on the hot sun... I can't imagine what that would do to it. Hi, Audrey, Dave Brubeck's "Take Five" has always been one of my all-time favorites. My husband used to loved it as well. Thank you for the fascinating details of your friendship with Dave and for including the video. Much appreciated and voted up, of course. It is a great pleasure to remember the history of memory. Terrific story, beautifully told. Thanks for sharing.